DriveMyCar is the smart way to rent a car from 2 days – 365 days. We allow you to rent cars from private owners so you save money compared to traditional car rental firms. Choose from a wider range of cars – from a Toyota Yaris to a BMW X5 and everything in between. Our long term rentals are more flexible than leasing a vehicle. Collision Damage Cover is included in the price. Looking for a car for six months or more? Talk to us about our discounted long term rates. You will save even more and have more flexibility than leasing a vehicle. We have hundreds of cars available, simply search for your perfect car and make a Booking Request. As we have cars located all around Australia there may be one just around the corner. DriveMyCar provides a formal rental agreement that you sign with the Owner to confirm the responsibilities of both parties. You can learn more about the Owner and their car by reading the Feedback from previous Renters. Each vehicle rented via DriveMyCar includes Collision Damage Cover which is included in the daily rental fee. Many traditional car companies charge extra for insurance, when comparing prices make sure you consider this. 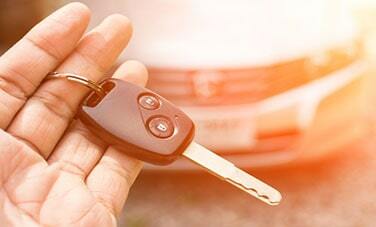 A Damage Liability applies to each rental, which is lower than many traditional car rental firms. You can reduce the Damage Liability by paying a low daily fee. You agree a mutually acceptable time and place to collect the vehicle from the Owner. Some Owners may offer to deliver the car to you. Check the Car Profile to see if Delivery is available. At handover you both complete an Inspection Report detailing the condition of the vehicle. At the end of the rental, contact the Owner to agree a time and place to return the vehicle and complete another Inspection Report. Make sure the car is clean and the fuel level is the same as at the start of the rental. We charge one simple, transparent daily rental fee which includes collision damage cover, servicing, tyres and registration. You only have to pay for fuel and motorway tolls. Your first payment will also include a refundable bond. Owners want to rent their cars to people they know they can trust. To appeal to Owners and increase your chances of securing your ideal vehicle, make sure you complete your profile with as much information as possible and include your photo. Logging in via Facebook and verifying your details with LinkedIn will also improve your status. Looking after the car and arriving at the handover location promptly will ensure that you receive good Feedback from the Owner.